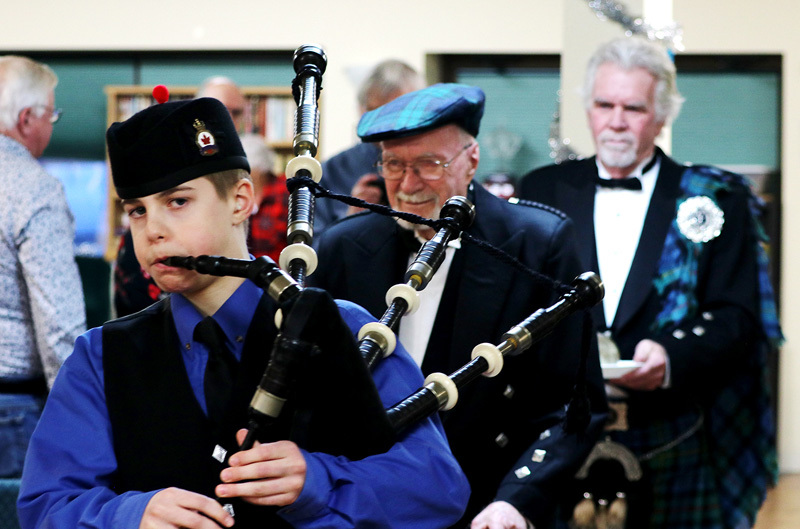 The Chestermere Whitecappers honoured Scottish heritage by hosting a potluck recognizing Scottish poet and lyricist Robert Burns on Jan. 29. 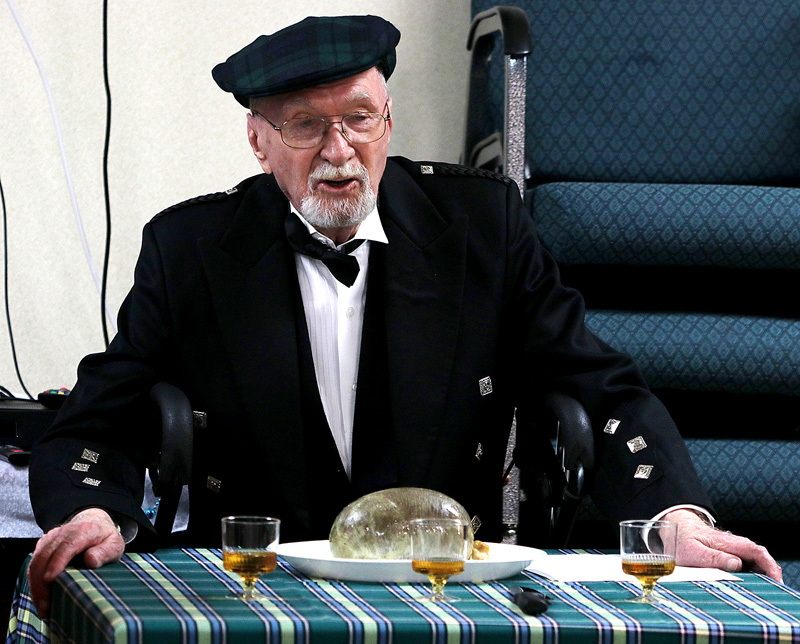 The celebrations began with bagpipes playing, followed by a reading of the Robert Burns poem, “Address to a Haggis” to a crowd of approximately 50 people. “Robert Burns is a very special person to people of Scottish heritage,” said Scottish Whitecappers member Graham Cox. “He was well renowned, and well thought of by all Scottish people, he became quite famous,” Cox said. Robert Burns was a farmer; however, his first book of poetry was so well received that he quit farming to pursue writing, Cox said. Cox is hoping Whitecappers left the potluck retaining Scottish history, and a new-found respect for the heritage. “It’s been going on for 200 years plus, and to keep that tradition up is fantastic,” said Whitecappers Vice President Michael Ball. Ball’s goal for the potluck was for people to leave valuing Scottish history, and thinking Robert Burns Day is a nice tradition to be a part of. “The poet is celebrated because his words could touch the soul in so many ways,” said President of the Calgary Burns Club Jim Hutchens. “He seemed to have a spiritual connection with the world of his time and gave hope for a better future for all,” Hutchens said. Robert Burns Day is an opportunity for Scots and all nationalities to celebrate the life and works of the poet. He added, the day should be celebrated because of the humanity of the poet. Hutchens said, “His grasp of the fact all men and women were created equal in a time when of the station of people was defined by class and wealth.